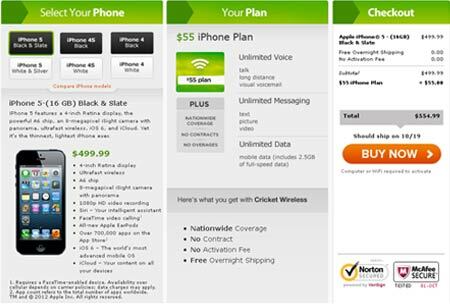 The 16GB Apple iPhone 5 Cricket price in the US is finally out and users will have to shell out $500 for this piece of hardware. It is now up for sale and is expected to start shipping this month itself. Besides the network provider in question, the phone is also available through a number of other carriers in the US. These include Verizon Wireless, Sprint, AT&T and Cellcom. Additionally, the phone is even out through certain online retailers in India, even though the tech giant hasn’t announced its official arrival in the country as yet. Taller than its predecessors, the sixth generation iPhone employs a 4-inch Retina display which claims to render clear visuals in 1136 x 640p resolution. The front panel flaunts a FaceTime webcam for video calling purposes, while the back side sports an 8MP iSight camera which can capture still shots while recording videos. 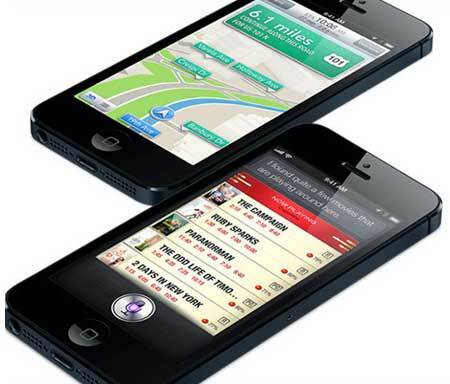 Equipped with an A6 chipset, it runs with the help of the iOS 6 OS. Featuring improved Siri, the handset comes with a nano-SIM card slot, the new maps app, Passbook and a battery that coughs up talk time of about 8 hours in the 3G mode. The 16GB Apple iPhone 5 Cricket price in the US is tagged at $499.99. Available off-contract, it requires users to sign up for monthly plans starting at $55. This device will hit store shelves on October 19.